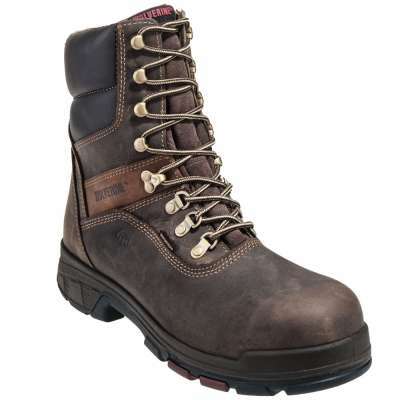 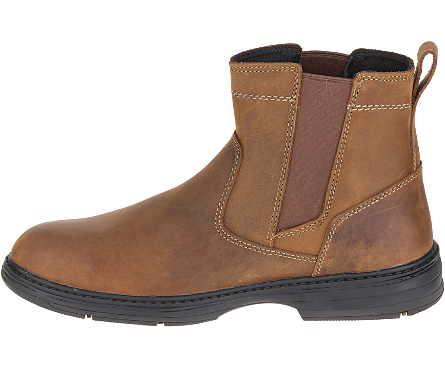 CATERPILLAR P90478 – Ruggedly stylish is easy to pull off. 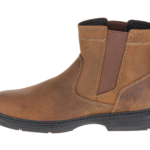 Stay professional, yet protected, with this dressier leather boot that translates easily from the jobsite to an office environment. 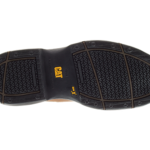 It comes with all the protection you need including a steel toe as well as static dissipating protection. 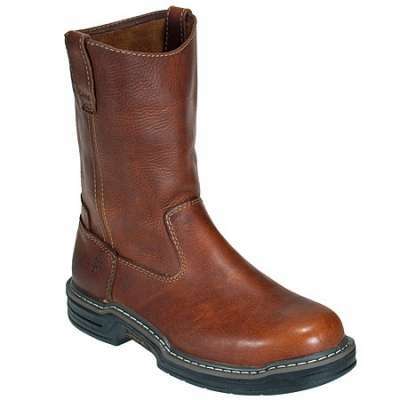 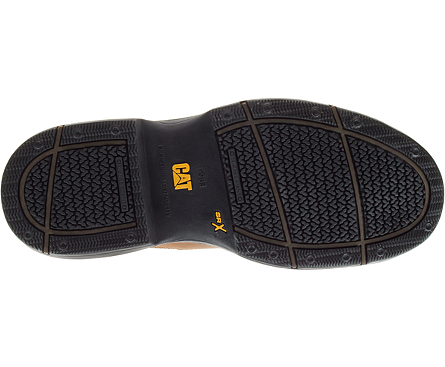 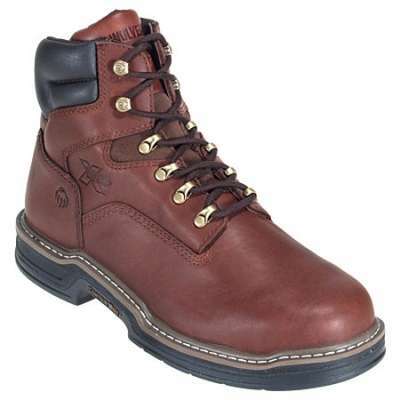 It also has a slip-resistant outsole to keep you stable on your feet, reducing the risk of slip and falls. 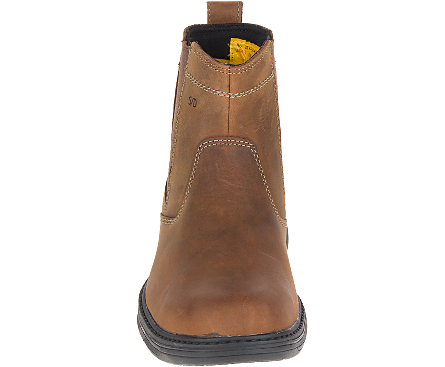 The Inherit pull-on provides comfort underfoot too, and also has back pull tabs for easy on and off. 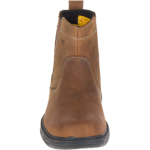 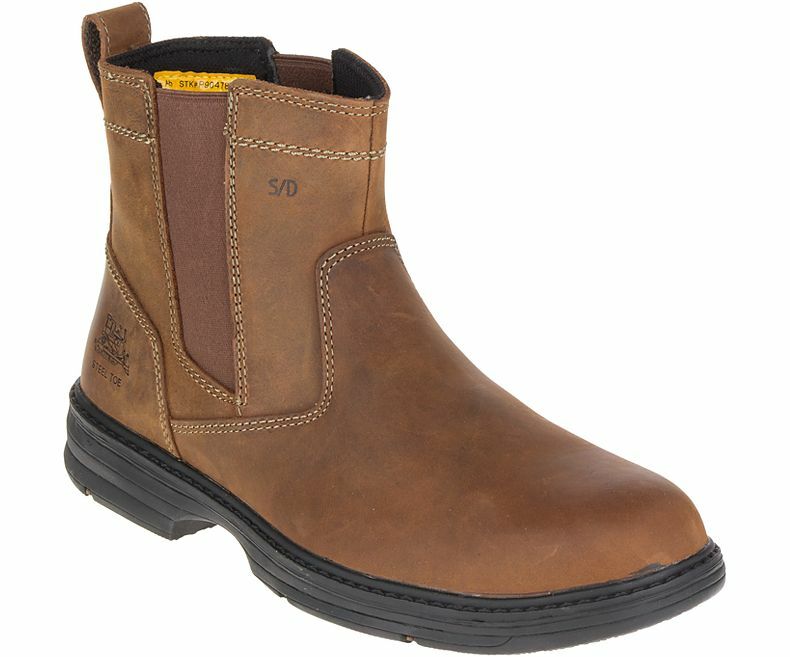 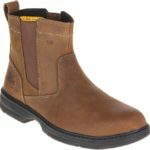 This Chelsea-style work boot has the versatility needed to take on the tough jobs on the work site, but allow you to manage the office work in style.